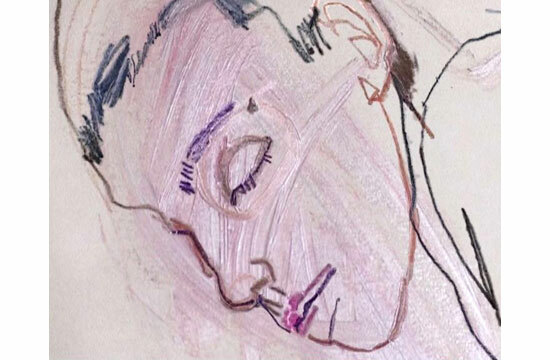 The film Following a Line is based on the drawings of Howard Tangye which Anna-Nicole Ziesche captures as a moving sequence of marks and lines. 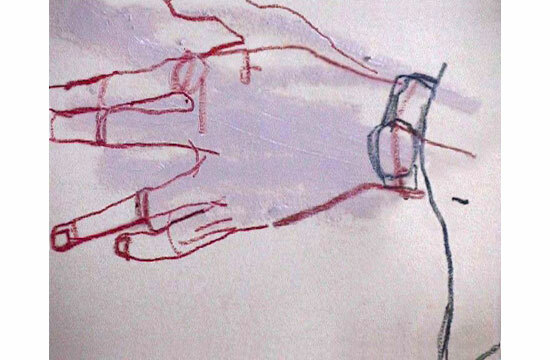 While the drawer remains physically absent the continuously moving and evolving line embodies his spirit and gesture. 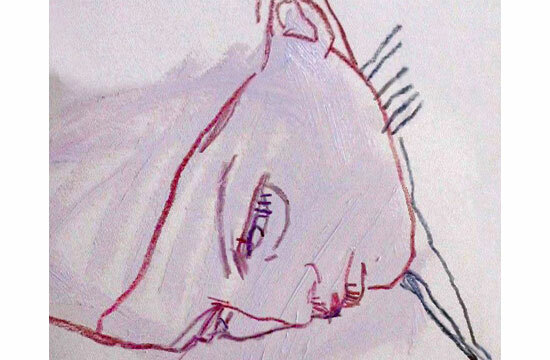 The film enhances drawing’s nature of ‘always becoming’ in that it portrays an unstoppable, restless line continuously urging forward at fast pace, sometimes too fast for the camera to follow. The line’s state of being in constant motion reflects the drawer’s condition who draws forever even without a pen mentally casting a line. 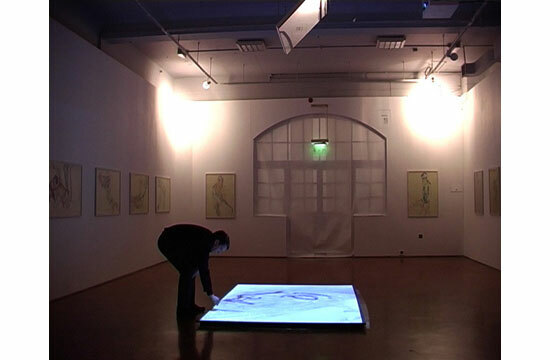 In order to further the idea of drawing as ‘always becoming’ ‘Following a Line’ engages horizontally with the spectator by being projected onto the floor. The spectator is invited to be mobile, walk around the projection and therefore, actively continue and map out the lines and drawer’s thought in space.